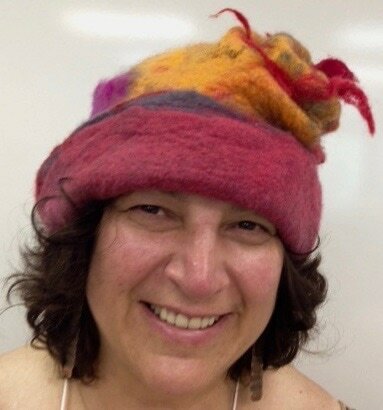 Learn how to create a seamless hat by making a resist which has the correct measurements and shape for you to block your felted hat into your favourite hat style. 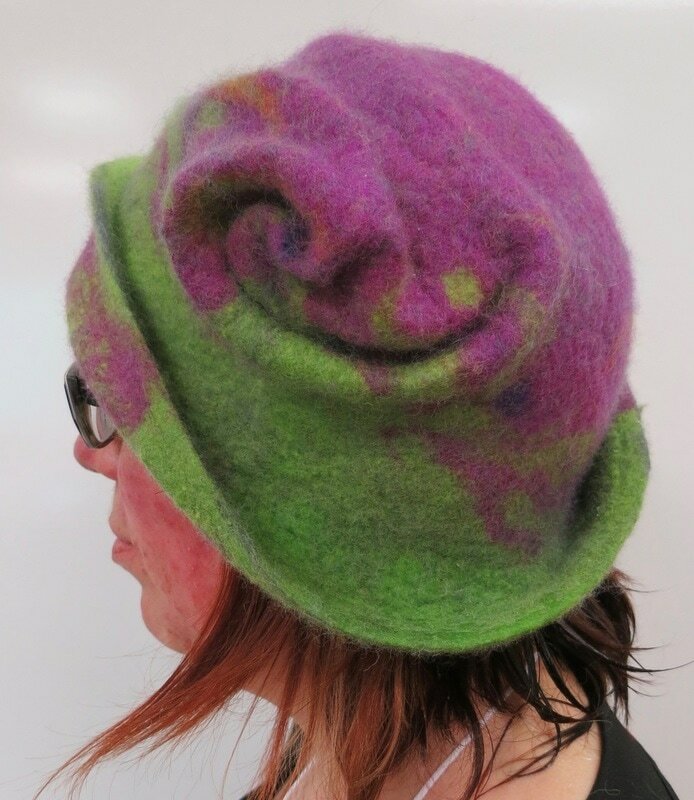 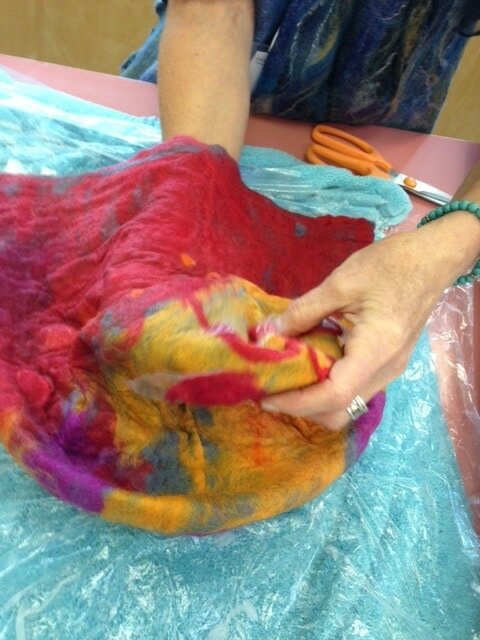 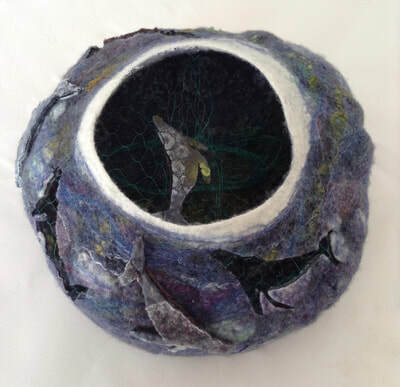 You will gain a comprehensive understanding of using the seamless resist technique, how to layer wool for colour blending, how to incorporate embellishments and how to shape and sculpt wool. 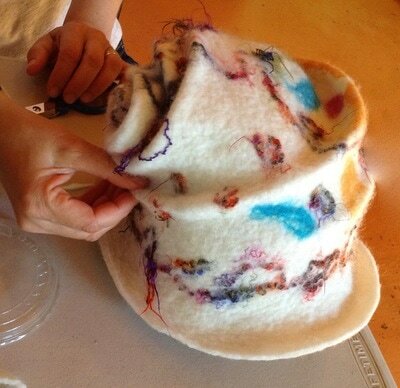 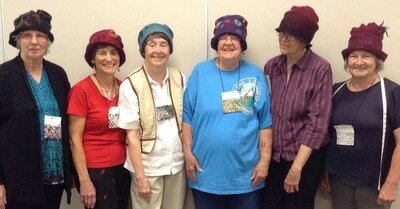 Bring your ideas or pictures showing the type of hat style that inspires you. 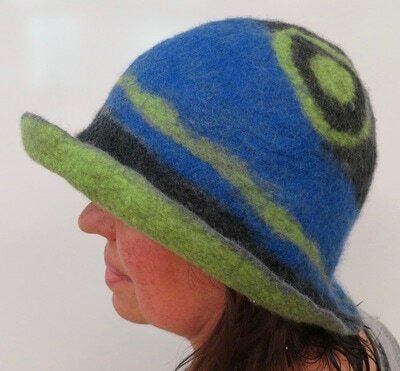 The hats can be bold and sculptural or practical and all will be waterproof. 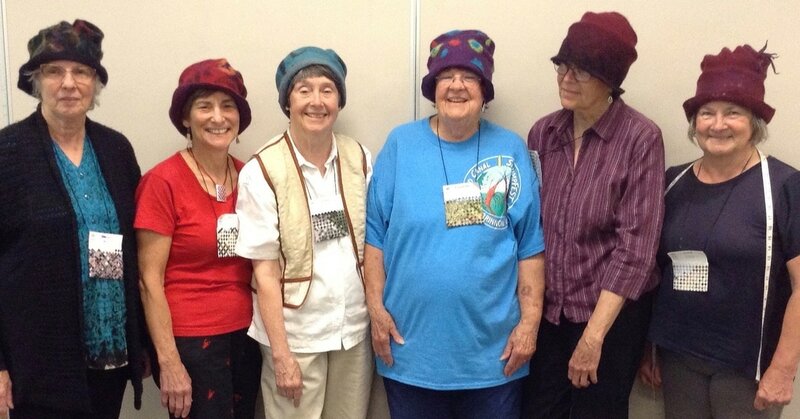 You will be able to take your hat home. 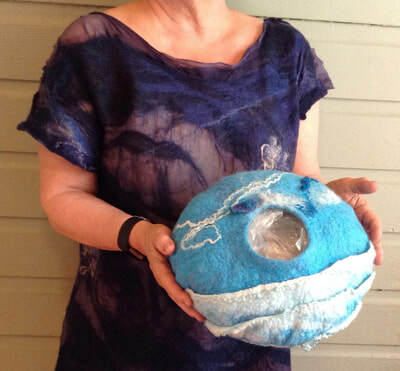 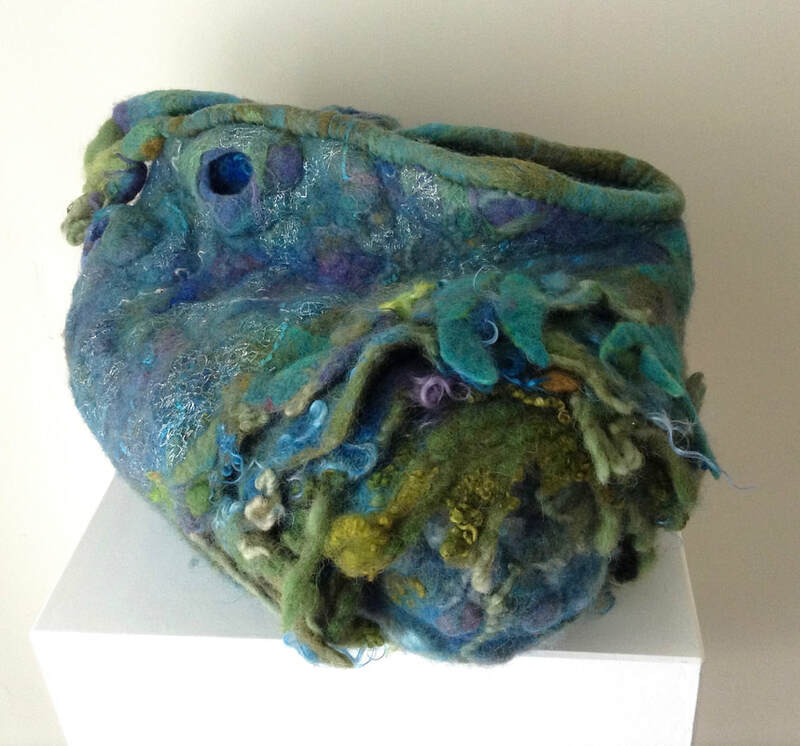 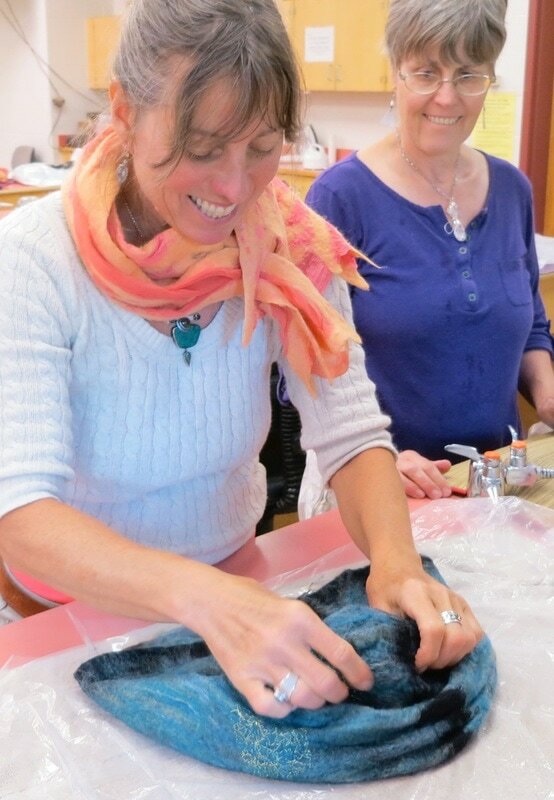 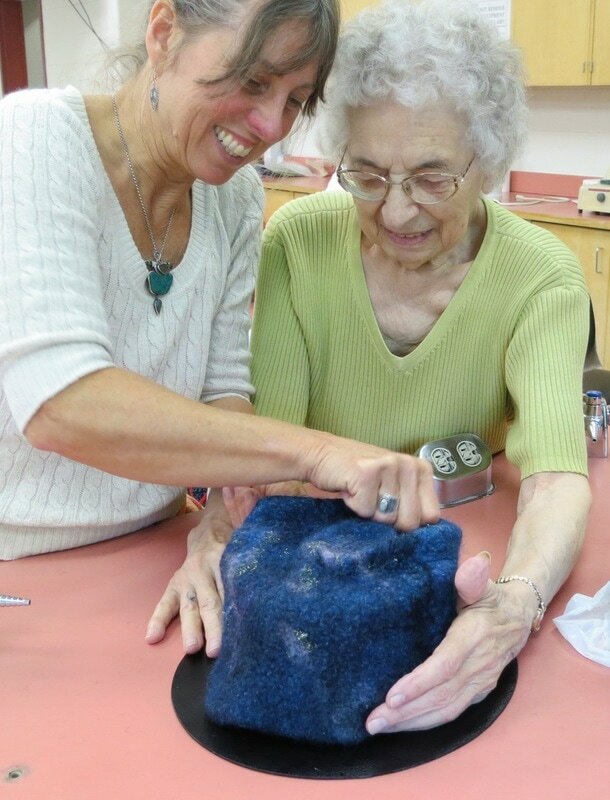 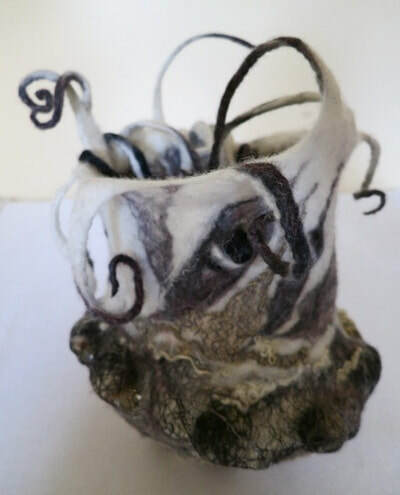 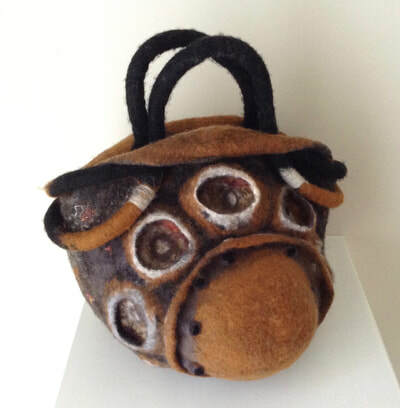 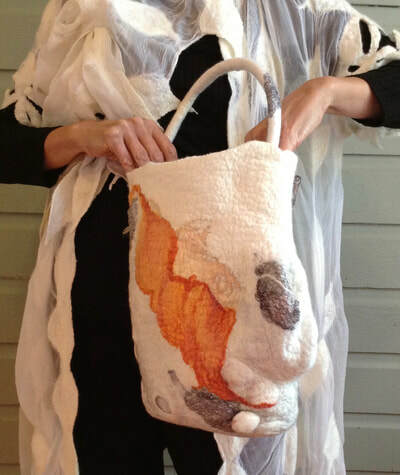 Learn how to create a resist for your own unique seamless felt bag, sculptural vessel or bowl style. 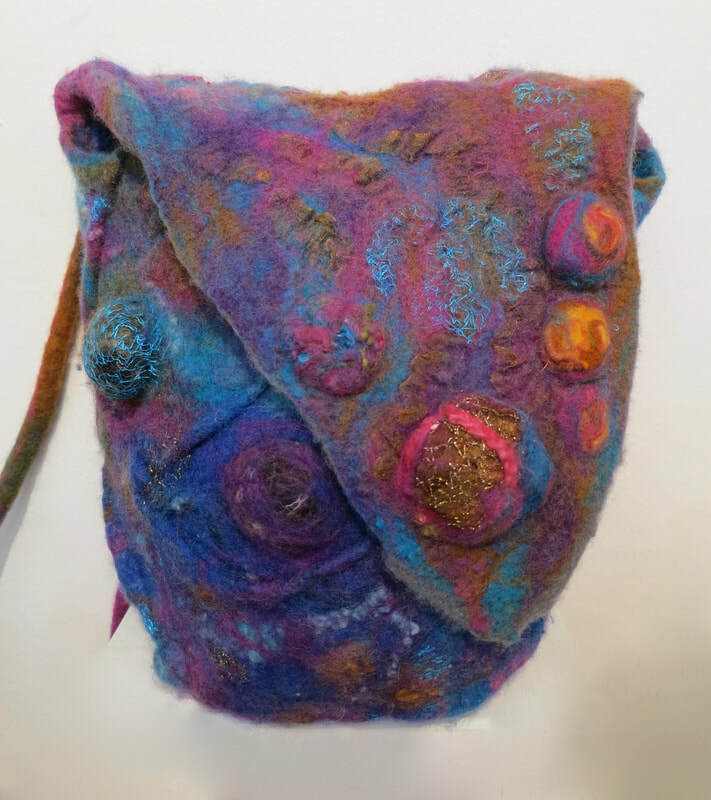 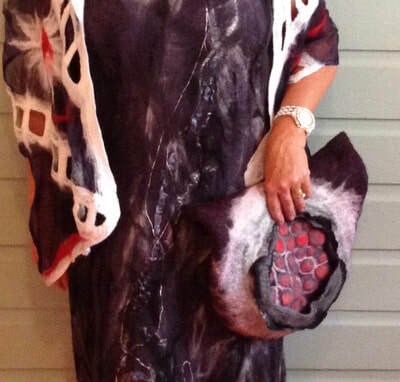 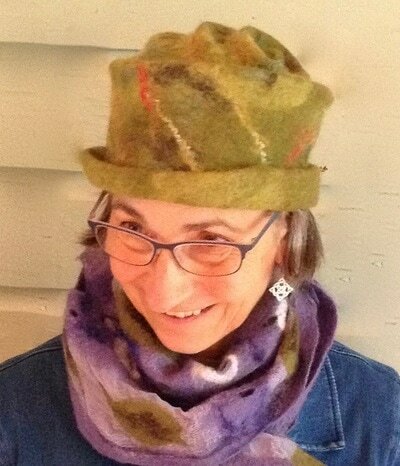 Laurie will demonstrate how your resist can include protrusions for sculptural features, a long coil for a strap and how to include pockets for cell phones. Gain a comprehensive understanding of layering wool for colour blending, how to include embellishments and prefelts in surface design.